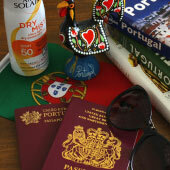 Porto is a wonderful city that has all of the right ingredients to provide you with a memorable holiday. The historic centre boasts outstanding tourist attractions and characterful districts, while modern Porto delivers vibrant culture, daring cuisine and buzzing nightlife. 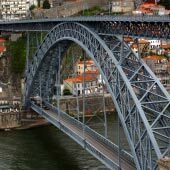 Porto is also ideally situated near historic towns, picturesque beaches and Portuguese heritage sites, making it a perfect destination for a truly unique holiday. 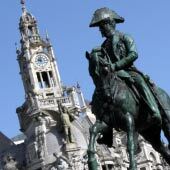 This article will provide a suggested itinerary for your 1-week holiday to Porto - a tour that has been entirely designed around public transport, so there is no need for the hassle or expense of renting a car. 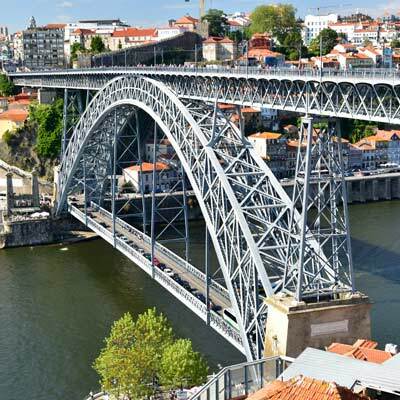 Two days of sightseeing is sufficient time to gain a good appreciation of Porto. 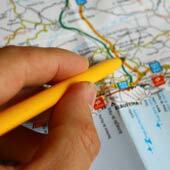 For the first day, it is recommended that you explore the historic districts of Ribeira, Se and Vitória. For the second day, it is suggested to visit Vila Nova de Gaia and the Jardim do Palacio De Cristal, ending the day with a boat cruise or tram ride. •	The panoramic view from the top of Clérigos Tower. 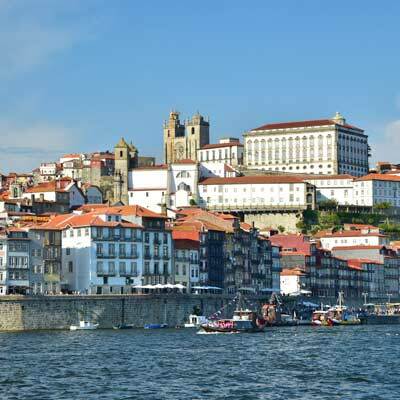 Vila Nova de Gaia is situated on the southern banks of the Douro River, and is the renowned home of Port. 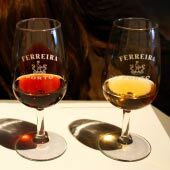 The Port grapes are grown and pressed in the upper reaches of the Douro Valley, and the drink is matured in the vast cellars (known as lodges) that line the banks of Vila Nova de Gaia. Each of the major Port producers has a port lodge (huge traditional warehouse) in Gaia, and these are open to the public for tours and port tasting. 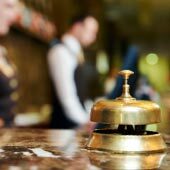 The tours are surprisingly inexpensive, being based upon number and quality of drinks tasted; just check the times of tours at the start of the day. 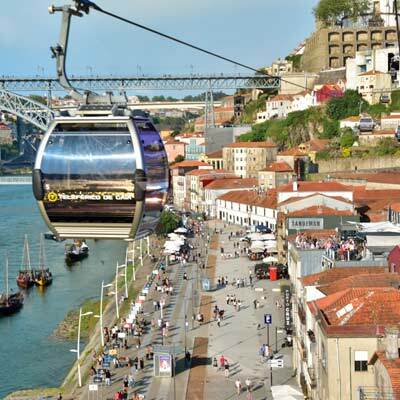 After the port tasting and tours, you can wander along the pretty southern banks of the Douro River and then ride the cable car up to the Mosteiro da Serra do Pilar, with one of the best panoramic views of the city. For the latter part of the day, head to the Palacio De Cristal gardens and the Soares dos Reis museum. The museum is housed in the beautiful Palácio das Carrancas and contains a diverse collection of Portuguese art. An alternative to the museum is to ride the scenic Linha 1 tram, which follows the river west into the Foz district. 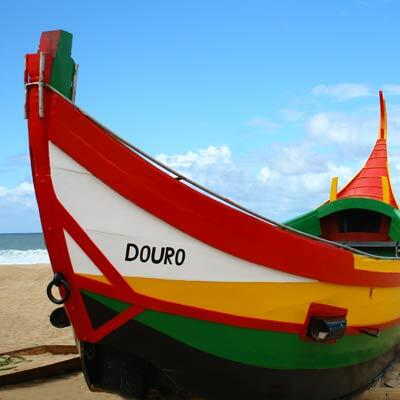 Porto is situated close to the Costa Verde, a coastline of glorious beaches, rugged shorelines and powerful seas. 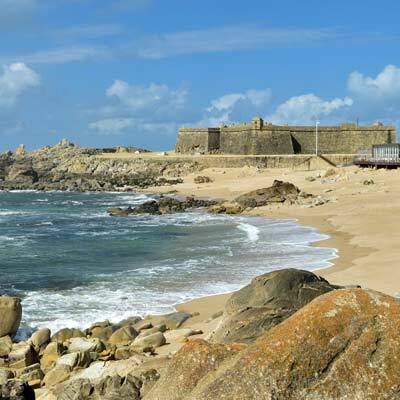 There are two very different choices for a beach day, either the likeable resort town of Espinho or the traditional fishing town of Vila do Conde. 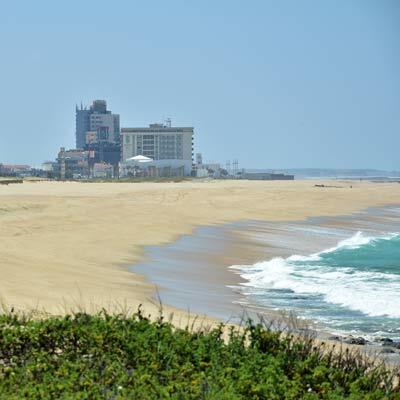 Espinho is a modern resort town that is popular with Portuguese tourists and lies along a 17km unbroken stretch of golden sands. At the centre of the town is the largest casino of northern Portugal, as well as many great restaurants and bars. 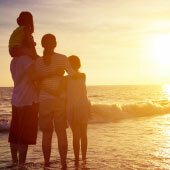 For the more energetic tourists, there is also a scenic cycle path and hiking route that follows the coastline to the pristine beaches north of the town. 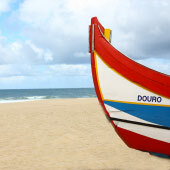 Espinho is connected by the Porto–Aveiro railway (30min €3.50 return), and the train departs from the Sao Bento Station. Guimarães is one of the oldest cities of Portugal, and it contains a beautifully preserved medieval city centre, which is a joy to explore. 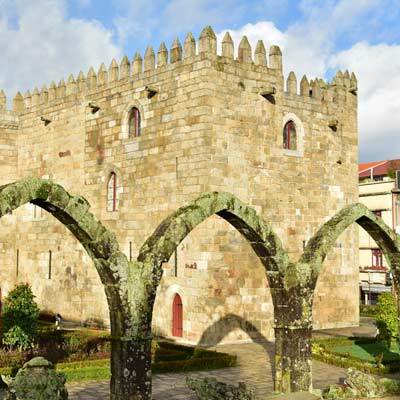 Guimarães is regarded as the birthplace of Portugal, as it was the first capital city and the birthplace of the first Portuguese king. 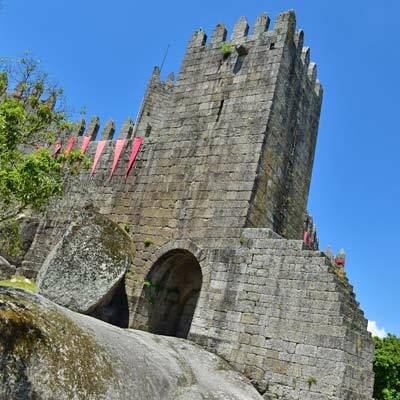 This ancient and illustrious past of Guimarães can be experienced by visiting the numerous historic monuments, including; Guimarães Castle, Dukes of Braganza Palace, Olive square and Misericórdia convent. Later in the day, ride the cable car up to Penha Hill, which provides fantastic views of the city and has enjoyable hiking trails. There is a direct train service from Porto to Guimarães (1h15min €6.40 return), which departs from the Sao Bento Train Station in central Porto. Braga is the religious centre of Portugal, and is a historic yet cosmopolitan city, which offers visitors numerous interesting attractions. 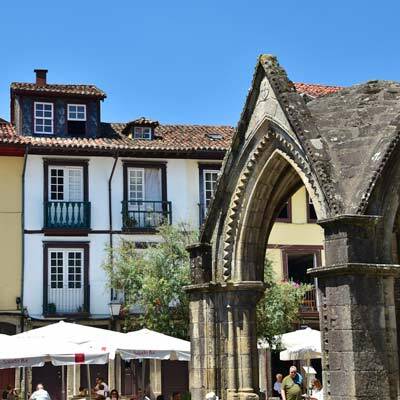 Braga has a likeable pedestrianised city centre, comprising of grand plazas, busy shopping streets and pretty formal gardens. Sights to include during your day trip, are the ancient Se Cathedral, the Jardim de Santa Bárbara, the Igreja de Santa Cruz and the Casa dos Biscaínhos. 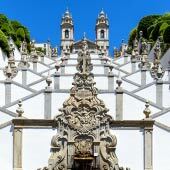 To the east of Braga is one of the most iconic monuments of northern Portugal: the Bom Jesus do Monte. 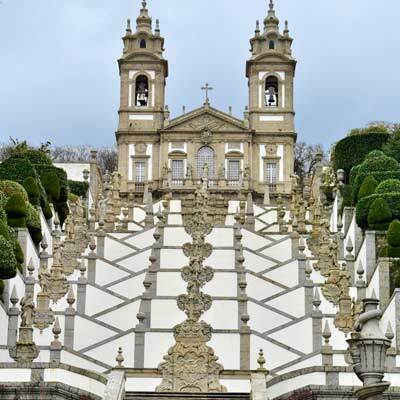 This ornate baroque church is located at the top of a steep hill and is reached via a series of decorative staircases which represent the ascent into heaven. For the less energetic, the world’s oldest water-powered funicular travels from the base of the hill to the church. Bom Jesus is an outstanding tourist attraction and should not be missed during your holiday to northern Portugal. 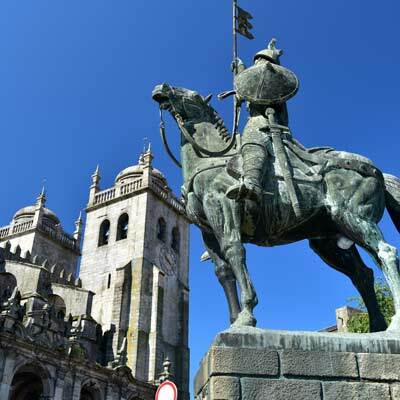 Braga is connected to Porto by the urban train network (1h10 min €6.40 return), which again departs from the Sao Bento Train Station. Aveiro is a pretty city that is located on the edge of the Ria de Aveiro Lagoon, close to the beautiful beaches of the Silver Coast. 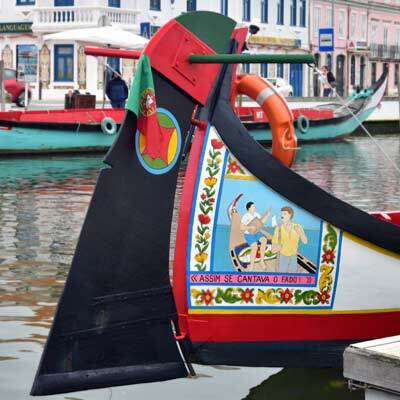 The city is crossed by multiple canals and a popular activity is riding one of the “Moliceiros”, gondola-like boats that glide along the city's waterways. Aveiro has a traditional fishing quarter, decorative Nouveau architecture, and posses a very different ambience to Braga and Guimarães. 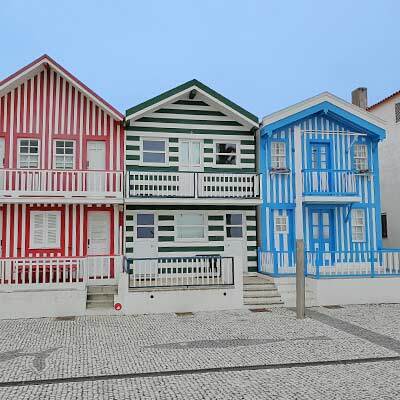 Close to Aveiro is the picturesque resort town of Costa Nova, which is famed for the striped summer houses that line the beachfront. Costa Nova is just a short bus ride from Aveiro, and when combined, they form a pleasant day trip from Porto. There is a direct train from Porto to Aveiro (1h07min - €7.00 return), which leaves from Sao Bento train station - this is the same train service to Espinho. 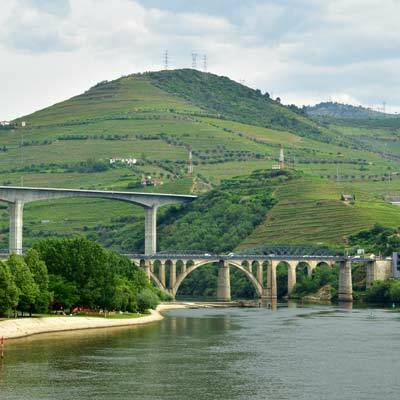 As a memorable last day in Porto, it is suggested to visit the Douro Valley, either by boat cruise, train or rental car. 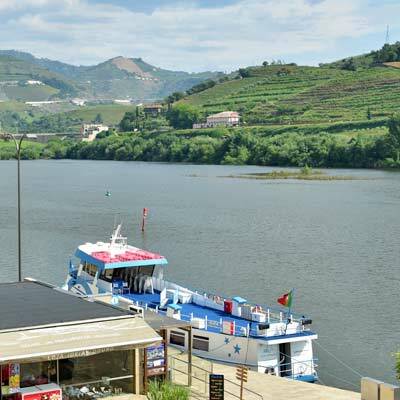 The higher reaches of the Douro Valley (Alto Douro) are the most scenic, with the section between Pinhão and Pocinho the most beautiful, but this is furthest from Porto. The terrace vineyards and steep valleys begin around the town of Peso da Régua. The 1-day boat cruises are the most relaxing way to take in this stunning region, and they typically travel upstream to Régua by boat and the return by train or coach. 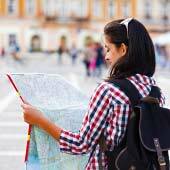 Prices of tours vary dependent on food options and comfort level, ranging between €50-80. 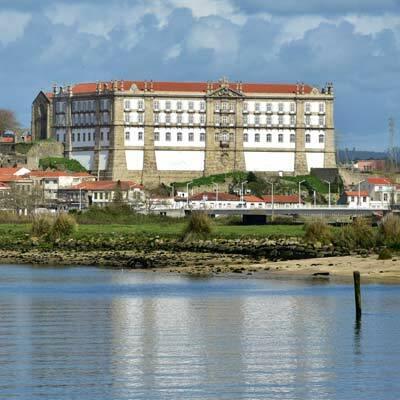 If for your last day in Porto, you would prefer a day on the beach, then head to the town of Matosinhos. The town has two large sandy beaches and is famed for its seafood restaurants, which serve the fresh catch from the town’s fishing fleet. Matosinhos is connected to the metro network and is just a short ride from central Porto.